We love our role as a centre for the local community and we take it very seriously. Did you know we offer a variety of socially responsible activities to benefit people of all ages? These range from our support for the leading-edge educational and training facilities provided on site at The Point to socially-focused events such as mall walking, which provide opportunities for our visitors to meet, make friends and stay active. Want to exercise in a safe, warm and dry environment, make new friends and have fun at the same time? Walk this way! Our Mall Walking takes place 9-10am weekdays, when the centre is closed to shoppers. Benefits include improved health, the opportunity to walk whatever the weather, meeting like-minded people, discount vouchers and two coffee mornings a year with raffles and free refreshments, so step to it – call at our Customer Service Centre located on the lower level next to Argos to register. Leeds Health Walks works in partnership with us to offer longer walks twice a week – all free and no need to book. The walks leave bang on the start time though, so don’t be late! All of the walks are easy-going and approximately 3.5 to 4 miles in length (unless otherwise stated). Some may include off-road rambling and involve the use of stiles. Suitable footwear is a must, and it’s a good idea to bring either a waterproof raincoat or an umbrella. Please remember that you walk at your own risk. Want to know more about Leeds Health Walks? Click here. Looking for a job? Want help preparing for that job interview? Don’t know where to start? The Point offers free impartial careers advice and support for all ages. You do not need an appointment and our friendly staff are ready to help support your development, build your confidence and help you plan your future career. We're a friendly bunch and would love you to join one of our stores. 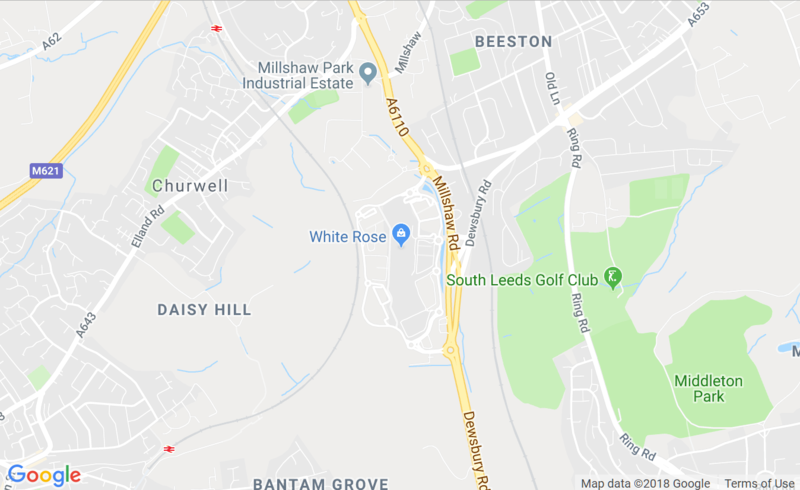 If you don't find what you are looking for at first, then check back here again soon as this page is constantly updated throughout the week with new career opportunities and jobs at White Rose. We hope you'll join our family soon! Being green and always thinking about the environment has become a way of life for us at White Rose and we are delighted to have been recognised at national, regional and local levels for our environmentally aware activities both inside the centre and out.